Make connections within Kerala, meet its people and experience the culture and flavors of four exceptional places — the historic port of Kochi, the tea and spice plantations of Munnar, the beaches and backwaters of the coast and a paradisical organic farm. We believe that to travel responsibly, a portion of our tour cost should benefit the communities we visit. For this trip, we will donate to PATH, and Room to Read, NGOs we support that are having a very positive impact in India with respect to health and education. Depart U.S. Fly to Kochi, losing one day due to time zone changes. 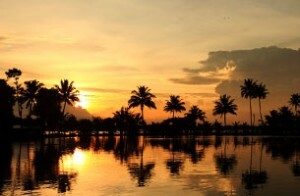 Early morning arrival in Kochi on the southwest shore of the Indian Ocean and transfer directly to your hotel. 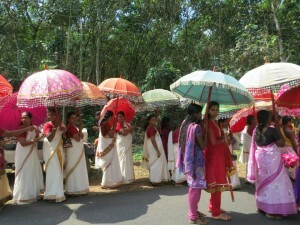 Traders and explorers have been visiting this part of the Malabar Coast for over 600 years and it shows in the mix of cultures. This evening, watch a Kathakali performance—one of the oldest theater forms in India. It’s a spectacular combination of drama, dance, music and ritual. After breakfast, enjoy a walking tour of Kochi, visiting the Dutch Palace, Jewish Synagogue, Fort Cochin, Chinese fishing nets and if you like, shop for antiques and jewelry. 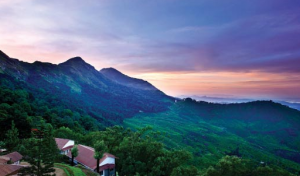 Travel by private car to the hill station of Munnar, a beautiful area of thick forests and verdant tea plantations. Your bungalow-style estate where you stay for two nights is set amidst a hillside cardamom plantation with sweeping views to the valley below. Take a guided hike through the plantation. Visit a tea plantation and tea museum to learn about the cultivation and processing of a variety of Indian teas—as well as visit a vocational training school for the disabled children of tea pickers. 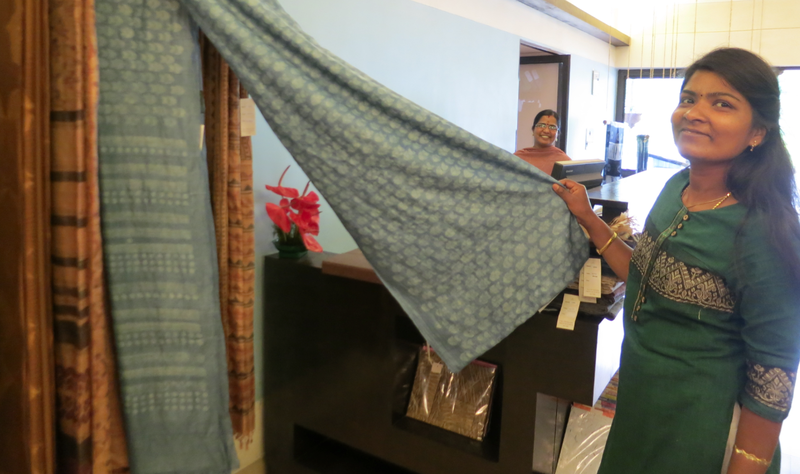 See their paper-making and textile-production process using all natural dies in the crafting of beautifully designed products that are offered for sale. 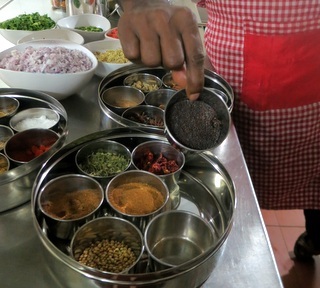 Time to shop there and in the town of Munnar for spices and handicrafts. 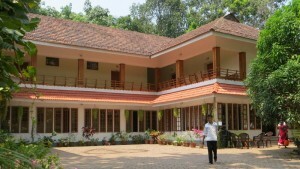 Depart for Dewalokam, a riverside organic farm and guesthouse where you’re welcomed by the warmest of Keralan families. Tour the farm which grows pepper, nutmeg, cinnamon, cloves, cardamom, ginger and turmeric along with the fresh fruits and vegetables, eggs and honey that are served as part of their delicious family-style meals. Enjoy a cooking demonstration before dinner. Start the day with an outdoor yoga class followed by a breakfast of fresh squeezed juice and products from the farm. 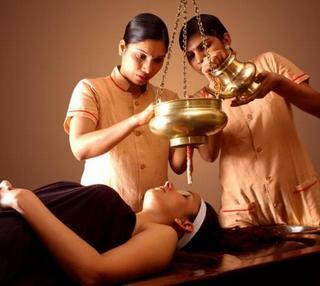 Three Ayurvedic massage treatments are included during your stay at Dewalokam. Afternoon is free to walk through the tropical forest, see how rubber is tapped, swim or bamboo raft on the river, explore the farm, visit the nearby village, temples and school or simply relax. 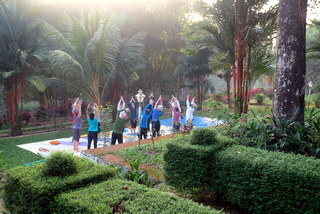 Morning yoga practice followed by breakfast and Ayurvedic treatment. At least once during your stay in Dewalokam, visit the nearby town of Thodupuzha, where you’ll have the opportunity to shop for tailor-made clothes and jewelry. 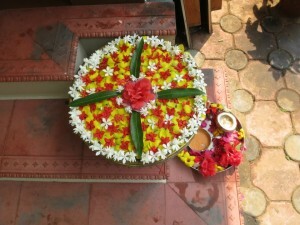 During your stay at Dewalokam you’ll also experience the traditional Keralan meal served on a banana leaf, which is eaten during the spring harvest festival of Onam and on other special occasions. Keralan rice accompanies at least ten separate mini dishes, all vegetarian, providing an extraordinary array of tastes. Each dish is balanced following the principles of Ayurveda, promoting equilibrium and a sense of well being in mind and body. After breakfast depart on a scenic drive to Marari Beach. En-route board a houseboat and enjoy a backwater cruise. 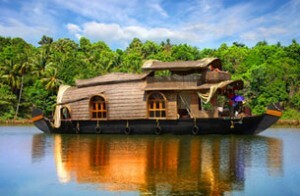 Kerala backwaters consist of a complex network of lagoons, lakes and canals and are best experienced while slowly cruising the labyrinth of canals in a traditional thatch-roofed houseboat. See life on the banks, lush green rice fields, coconut groves, temples and churches. Late afternoon disembark and transfer to Marari Beach for a three-night stay. 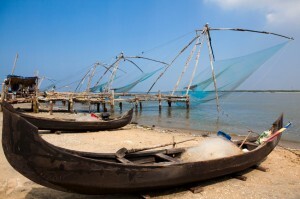 Marari originates from ‘Mararikulam’, the name of the nearby local fishing village. Here life still goes on much as it did a hundred years ago, with the men going out to sea to bring in the daily catch. 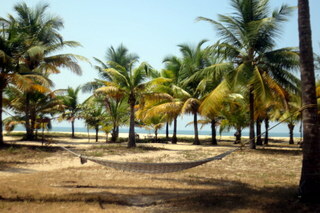 Marari Beach offers endless miles of superb sand beach, an organic garden, Ayurvedic center, outdoor yoga studio and plenty of hammocks to curl up and relax with a good book. Practice yoga this morning with a local master. After breakfast, the day is free to enjoy the resort. You may also choose to take an optional guided tour — perhaps walk to the nearby fishing village to experience the local lifestyle and culture, or take the ‘Temple Trail’ tour of Hindu temples. Morning at leisure to practice yoga, swim, take a walk or simply relax and enjoy this beautiful place. Afternoon transfer to your airport hotel in Kochi. Depart early morning for homeward flights, arriving the same day due to time change. 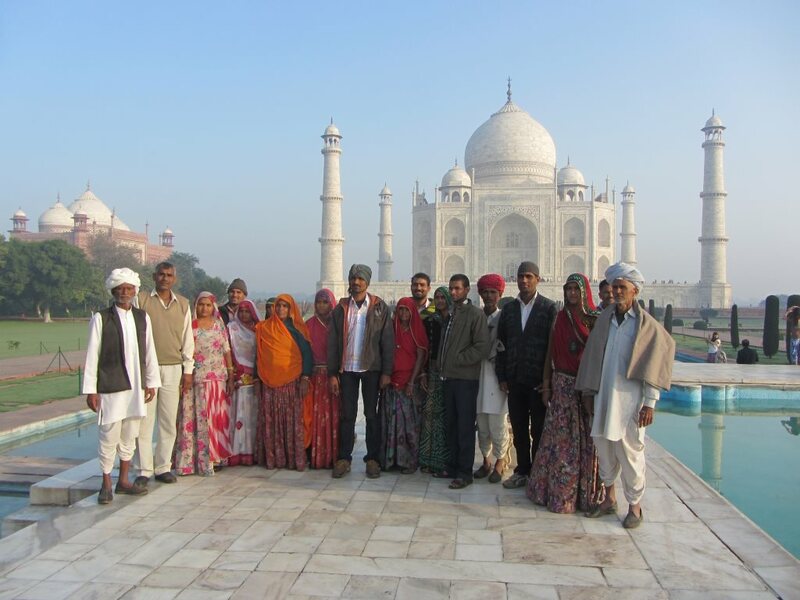 Choose to extend your stay in India with a visit to the Golden Triangle — Delhi, Agra and Jaipur. Ask for details.